Vatican City, Nov 24, 2017 / 09:26 am (CNA/EWTN News).- One of the Vatican’s top diplomatic voices has criticized U.S. President Donald Trump’s recent decision to end the Temporary Protected Status of thousands of Haitians taking refuge in the U.S., saying the country isn’t yet ready for the influx after a slew of natural disasters devastated the island nation. 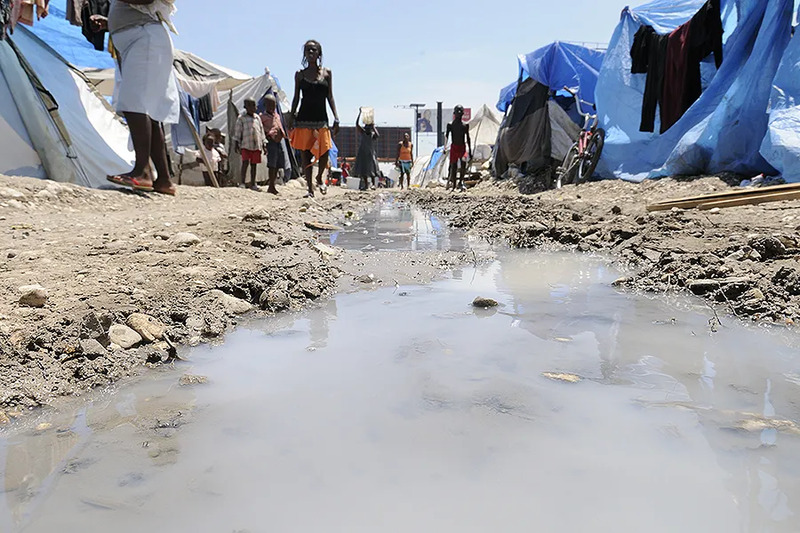 “That’s a sad decision, because the Haitian population in the U.S. that arrived after the earthquake and after the storm that destroyed half of the island, cannot go back to a situation that still is very difficult,” Archbishop Silvano Tomasi told CNA Nov. 24. 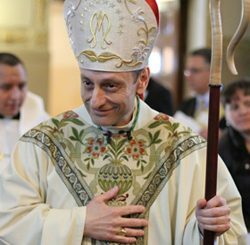 Archbishop Tomasi was formerly the Holy See’s Permanent Observer to the United Nations in Geneva, and is now Counselor for the Dicastery for Promoting Integral Human Development. He spoke during the Nov. 24 presentation of Pope Francis’ message for the 2018 World Day of Peace, titled “Migrants and Refugees: men and women in search of peace,” and dedicated entirely to the issue of migration. The message comes just four days after Trump administration announced it will be ending protected legal residency for an estimated 60,000 Haitians living in the U.S., giving them until July 2019 to return to their country. Thousands of Haitians flocked to the United States in 2010 following a catastrophic earthquake that measured at 7.0 on the Richter scale and which killed more than 200,000, displaced more than 1 million, and destroyed thousands of homes and businesses in and around the country’s capital, Port-au-Prince. However, the Trump administration’s decision Monday has raised the question for many as to whether Haiti, the poorest country in the Western Hemisphere, will be able to support an influx of 60,000 people returning home after seven years. When it comes to the migration issue, Tomasi said it’s important to go beyond polemics and heated rhetoric. Vatican City, Oct 6, 2018 / 10:10 am (CNA).- The Church’s youngest cardinal said Saturday that the Word of God must be the central point of the Church’s message to young people. Pope Francis speaks here beautifully and with insight regards mercy and required repentance. Nonetheless what he says here so poignantly must be read in context of actions. My comment on Fr Raymond de Souza’s NCR article The Danger of Conflating Sexual Abuse With Abuse of Power underscores the matter. “Fr de Souza is certainly correct that, ‘There can be no doubt that power is related to sexual abuse; the weak do not molest the strong’, and that conflation of power as a contributing dynamic overshadows sexual misconduct as a separate issue. However the Vatican avoided the issue of Hierarchy homosexual abuse perpetrated within clerical ranks the strong taking advantage of vulnerable young priests and seminarians. Quite telling the format of the Synod was prev programmed to examine clergy abuse of minors. Ironically it is the homosexual network of Hierarchy and lesser rank clergy that not only produces abuse among clergy but actually reinforces the presence of predatory homosexuals who also engage in the abuse of minors. As was the classic example of former cardinal McCarrick. Although US hierarchy Cardinal DiNardo in particular hoped to investigate the McCarrick homosexual network the cover up and his advancement he was cut off at the pass by the Pontiff himself. This is where Bishops must make their enquiry, even demands for answers and investigation as urged by Cardinals Burke and Brandmueller prior to the Feb Synod. Fr de Souza’s sentence should instead read, ‘There can be no doubt that power is related to sexual abuse’ within the ranks of clerical authority in the violation of vulnerable clergy and seminarians and a major contributing factor in the abuse of minors”. Yes the tree must produce fruit, good fruit. Not rotten fruit.